Responding to the increasingly polluted conditions of the estuary, the New York State legislature directed the city of New York to form the Metropolitan Sewerage Commission of New York in 1906. This commission was charged with the dual tasks of investigating the extent of water pollution in the harbor and formulating a plan to improve city sanitary conditions. In addition to recommendations for upgrades of waste treatment, which eventually were implemented beginning in the 1930s, the Commission also recommended that outfalls be relocated from nearshore areas to a central diffuser in the Lower Bay. A central diffuser system, however, was never adopted (Suszkowski, 1990). Construction of primary wastewater treatment plants in the Hudson-Raritan estuary began with Passaic Valley, New Jersey, coming on line in 1924, followed by Yonkers, New York, in 1933. During the construction of the first treatment plants in the 1930s and 1940s in New York City, the New York City Department of Public Works maintained an active role in research and development of waste treatment processes, particularly in the area of biological waste treatment. Although the federal government's primary role was to provide technical advice through the Public Health Service, the Roosevelt Administration did provide federal public works funding for sewage treatment plant construction as a relief program during the Great Depression (O'Connor, 1990). Because of the regional nature of water pollution problems, New York, New Jersey, and Connecticut established the Interstate Sanitation Commission (ISC) to develop water quality standards and to report on progress in water pollution control in the harbor. Following the passage of the Federal Water Pollution Control Act and amendments in 1948 and 1956, the state and federal governments gradually began to assume a larger role in providing funds for water pollution control. Following World War II, the State of New York initiated a water pollution control program in 1949 that was primarily directed toward classification of streams and rivers and inventories of municipal and industrial wastewater sources (Hetling and Jaworksi, 1995). Beginning in 1956, and continuing on a much larger scale with the 1972 CWA, the Construction Grants Program has provided federal funding for the construction of municipal wastewater treatment plants (see Chapter 2). Following the 1965 amendments to the Federal Water Pollution Control Act, federal funding through the Public Health Service and the Federal Water Pollution Control Administration was also available to provide technical assistance in monitoring and analysis to investigate water quality management issues (FWPCA, 1965, 1969). Stimulated by severe water quality problems exacerbated by the persistent drought conditions of the early 1960s, the State of New York passed a $1.7 billion bond issue in 1965 to provide funds under the "Pure Waters Program" for the construction of municipal wastewater treatment plants (Het-ling and Jaworksi, 1995). Under the 1972 CWA, 208 studies were conducted areawide to evaluate regional water quality management solutions related to waste treatment facility needs (Hazen and Sawyer, 1978; O'Connor and Mueller, 1984). Authorization for New York City Department of Environmental Protection (NYCDEP) to oversee its own industrial pretreatment program for corrosion control in 1987 has led to significant reductions in heavy metal loadings (Brosnan et al., 1994). A citywide CSO Abatement Program is currently under way to comply with USEPA's national CSO strategy. New York City has allocated $1.5 billion for construction of CSO abatement facilities over the next 10 years and is proceeding with water quality studies and facility planning. In the meantime, the city implemented the "Nine Minimum Controls" issued by USEPA as part of the 1994 National CSO Control Policy, with significant improvements in water quality conditions (Brosnan and Heckler, 1996; Heckler et al., 1998). Since enactment of the 1965 amendments to the Federal Water Pollution Control Act, $7.5 billion has been invested by federal, state, and local governments to upgrade 11 of 12 water pollution control plants and to construct and upgrade the North River and Red Hook plants (Adamski and Deur, 1996). With limited open land area, sludge disposal has always been a major problem for the New York-New Jersey region. In 1924, New York City began routine ocean disposal of sewage sludge at a dump site 12 miles south of Rockaway Inlet off Long Island. Over the following five decades, New Jersey and Westchester County also used ocean dumping to dispose of sewage sludge. By 1979, 5.4 million metric tons (mt) of sewage sludge solids (5 percent) had been dumped into the shallow (30-meter) site (Mueller et al., 1982). Because of the ecological effects, and the resulting political and public controversy (NACOA, 1981), ocean dumping at the 12-mile site was abandoned in 1985. Sludge disposal was then moved to a deepwater site 106 miles offshore until this practice was ended in 1992. New York City has subsequently constructed eight sludge dewatering facilities. Various private contractors then further process approximately 1,200 tons per day of dewatered sludge, known as biosolids for beneficial reuse. New York City's biosolids program is designed to be diverse, employing direct land application, thermal drying, composting and lime stabilization (Ryan, 2001). Beginning with decisions by local authorities to construct an organized sewerage collection system in Lower Manhattan as early as 1696, a complex network of storm-water and sewage collection systems and wastewater treatment plants has evolved over the past 300 years, initially to minimize nuisances and protect public health, and most recently to restore and protect the estuarine environment. In 1886, the first wastewater treatment plant was constructed to protect bathing beaches at Coney Island. Following recommendations of a 1910 master plan for sewage treatment by the Sanitary Commission, New York City, Passaic Valley, New Jersey, and Yonkers, New York, initiated construction programs, beginning in the mid-1920s at Passaic Valley, for wastewater plants (O'Connor, 1990). Following the master plan from the Sanitary Commission, the City of New York began construction of the first modern wastewater treatment facility at Coney Island in 1935 and three plants discharging to the East River in 1938. Other locations also constructed municipal wastewater treatment plants at this time. Modern treatment plants went on-line in 1938 at North and South Yonkers, New York, designed for a combined discharge of 130 mgd into the Hudson River; Passaic Valley, New Jersey, first constructed a plant in 1924 and upgraded it in 1937 to 250 mgd capacity. By 1952, a total of 11 water pollution control facilities were operational in New York City, with 7 of these 11 facilities providing primary treatment. Upgrades to the seven primary facilities during the 1950s and 1960s gradually resulted in improvements in water quality within the harbor. By 1967, the largest New York City plant, Newton Creek, came online discharging 310 mgd into the East River, with New York City's wastewater treatment facilities accounting for a total effluent discharge of approximately 1,000 mgd. Driven by the regulatory controls of the 1972 Clean Water Act, public works officials in New York City, New Jersey, Connecticut, and Westchester County embarked upon programs to upgrade all municipal treatment facilities to full secondary treatment during the 1970s and 1980s. In 1986, completion of the North River water pollution control plant ended the discharge of 170 mgd of raw sewage into the Hudson River from Manhattan, with secondary treatment attained in 1991. In 1987, completion of the Red Hook water pollution control plant abated the discharge of 40 mgd of raw sewage into the Lower East River from Brooklyn, with secondary treatment attained in 1988. An additional 0.7 mgd of previously unsewered discharge was captured beginning in 1993 when wastewater from Tottenville, Staten Island, was connected to the 40-mgd Oakwood Beach water pollution control plant. Since the completion of the North River plant in 1986 and Red Hook plant in 1987 as advanced primary plants, all wastewater collected in the total sewered area of about 2,000 square miles (Figure 6-7) in the New York metropolitan region has been treated before discharge into the Hudson-Raritan estuary. 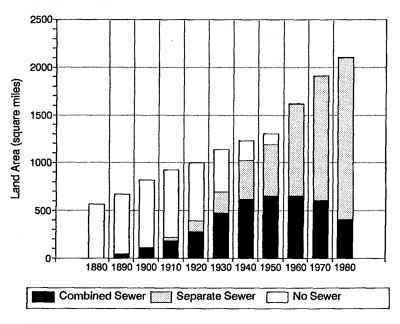 Figure 6-7 Long-term trend of sewerage collection in the Hudson-Raritan estuary, metropolitan region, 1880-1980. 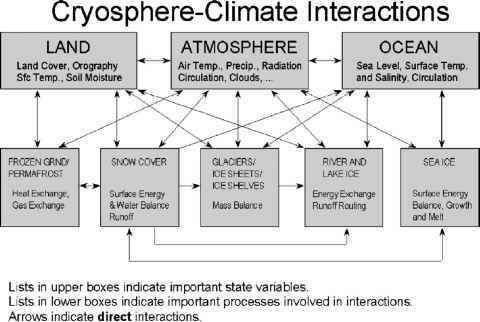 Source: Suskowski, 1990. Red Hook (45 mgd) plants, originally on line in 1986-1987 as advanced primary facilities, were upgraded to full secondary plants in 1991 and 1989, respectively (Bros-nan and O'Shea, 1996a). The Newton Creek water pollution control plant is expected to be upgraded to full secondary treatment by 2007 (Schwartz and Porter, 1994). As a result of upgrades to existing plants and construction of the North River and Red Hook plants, the discharge of raw sewage has been reduced from 1,070 mgd in 1936 to less than 1 mgd by 1993. Intermittent raw discharges, caused by malfunctions or construction bypasses, have been reduced from 3.8 mgd in 1989 to 0.85 mgd by 1995 (O'Shea and Brosnan, 1997; Brosnan and O'Shea, 1996b). The locations of municipal water pollution control plants (WPCP) discharging flows > 10 mgd into the Hudson-Raritan estuary are shown in Figure 6-8. Historical data have been compiled from 1900-2000 to show long-term trends for untreated, primary, and secondary municipal wastewater treatment plants. Population served, effluent flow and effluent loading rates of biochemical oxygen demand (BOD5), total suspended solids (TSS), total nitrogen (TN), and total phosphorus (TP) are compiled for the Middle and Lower Hudson River basins (Hetling et al., 2001). A budget of the point and nonpoint source contributions of these pollutant loads is also presented as a contemporary "snapshot" of loads for the 1990s. The data sources, methodology, and assumptions used to estimate population served, wastewater flow, and pollutant loads are documented in Johnson (1994), Johnson and Hetling (1995), Hetling and Jaworski (1995), and Hetling et al. (2001).